Bob Miller is an American practitioner with 20 years of experience and specialises in genetic variants and nutrigenomics. In this video he answers many questions from Lyme Disease UK members and explains his work in nutrigenomics and complimentary medicine. 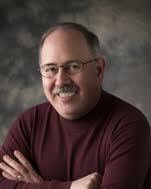 Robert Miller ND earned his naturopathic degree from Trinity School of Natural Health and is board certified. Bob has served as a traditional naturopath for 20 years, and has spent the last several years engaged almost exclusively with genetic variants and related research. Working with many clients, he is astounded at how many peoples’ health concerns are related to the genetic issues. Recognizing that there was not a nutritional supplement line on the market comprehensive enough to address all of the possible genetic variants, he began working with a national company, Professional Health Products, to formulate an Epigenetics line of products for use by healthcare providers. Bob lectures at nationwide seminars to educate physicians and health care practitioners about genetic variants and nutritional supplementation for achieving optimal health. He also was recently named to the Functional Medicine University’s advisory board. NutriGenetic Research Institute received one of two prestigious Lyme Poster Awards at the 2016 European ILADS Conference in Helsinki, Finland on June 11 2016 for its outstanding Lyme research presentation, “Higher Levels of Genetic Variants (SNPs) Found in those with Chronic Lyme Disease.” View the poster presentation Read the final findings of the Chronic Lyme & DNA Study.